Shibumi Shogun: The executive edition for the big boss. 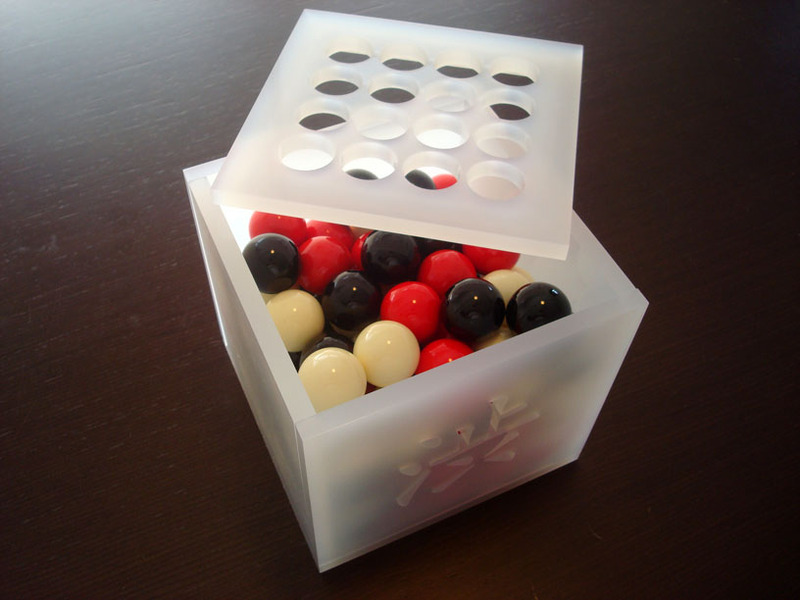 It includes a big laser-cut 8mm thick 'ice' acrylic box with 4x4 holes on its lid and a laser cut kanji on its side, a big white bag and, fourty eight 25mm phenolic resine balls in 3 colours (16 each of white, black and red). 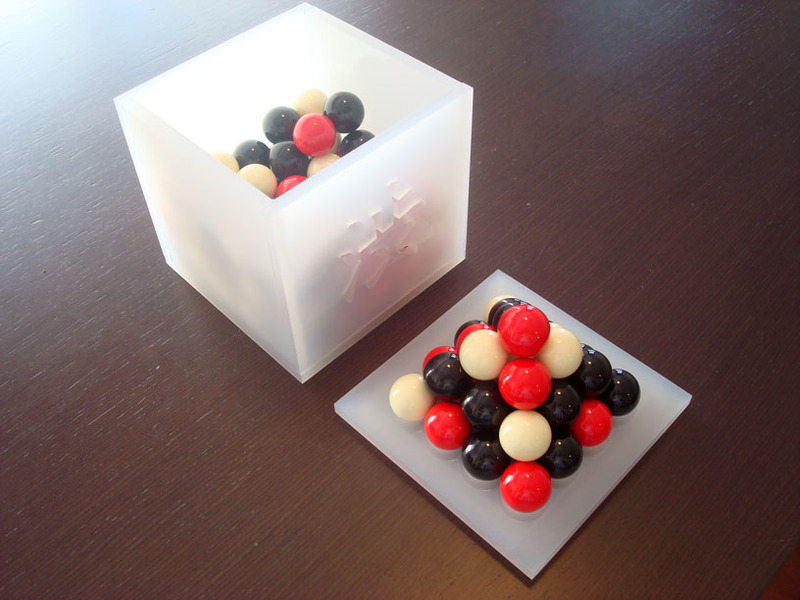 The box can handle up to 100 phenolic balls, in case you wish to purchase addtional ones (see 'Extras' section). - Light: around 15 grams each. - Round: each ball is perfectly spherical without blemish; they stack and drop correctly every time. - Warm: both in temperature and in the nice snooker ball "clack" they make when struck together. - Tough: they won't chip or crack and seem pretty much indestructible. They look and feel fantastic. When you pick them up you just want to keep fondling them. UPDATE: You can now purchase the book directly here, on nestorgames! Also the game does not include the pendrive anymore, and hence the price is lower.